Our homes should be a safe haven, a place for our families to restore and rejuvenate. Instead, the EPA says the air is up to 10 times more toxic than the outdoors. 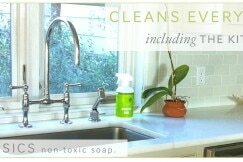 Ironically, the products we clean with are often to blame. 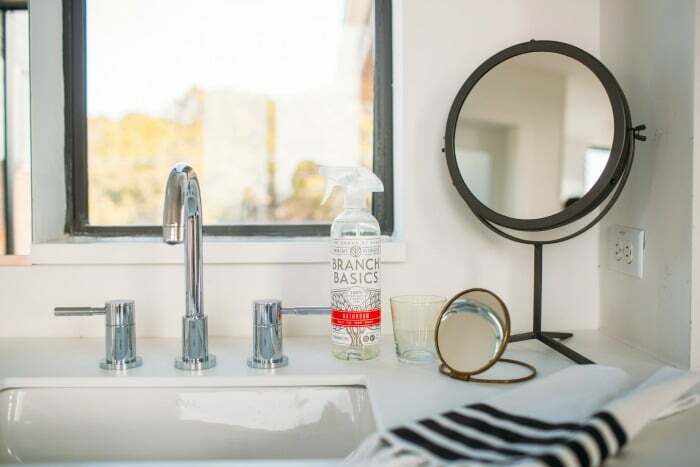 Today there are over 17,000 chemicals allowed in conventional cleaning products, many of which are linked to respiratory issues, learning disabilities and cancer. Even many of the so-called “green” products contain potentially not-so-safe ingredients. The multi-billion-dollar household cleaning product industry is largely unregulated, so I recommend we do the homework ourselves to protect our families. 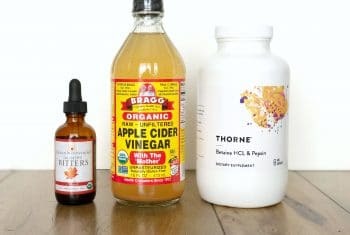 So how do you start detoxing your home? 2. 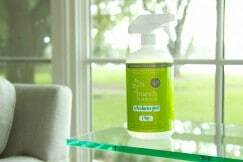 Open Your Windows – The air inside our homes can be more polluted that the air outside, especially if we’re using chemical cleaners. Open the windows and let some fresh air in. 3. Take off Your Shoes – Removing your shoes before you enter your home can help prevent heavy metals, pesticides and other chemicals from coming into your home attached to the soles. 4. Bring nature inside – Indoor plants act as living air purifiers and provide a wonderful aesthetic benefit! If you have small children or pets, make sure the plants aren’t poisonous if ingested. 5. Get rid of synthetic fragrances – Synthetic fragrances emit dozens of chemicals into the air. This applies to air fresheners, laundry detergents, fabric softeners and dryer sheets. 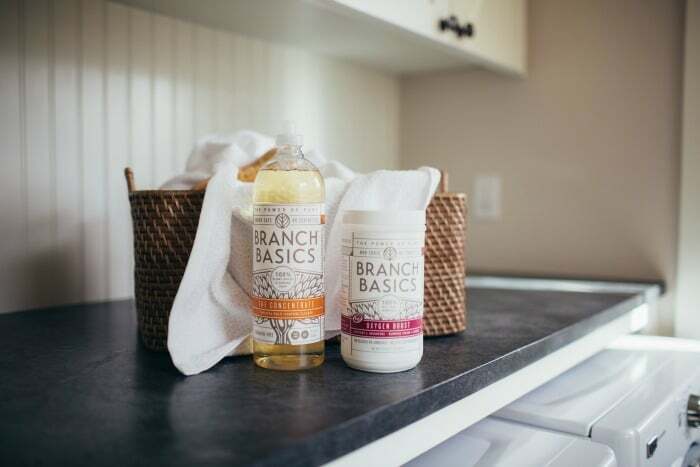 A few years ago I discovered Branch Basics and was so impressed with the product that I’ve gotten rid of all other cleaning products (except dish detergent) in my home! 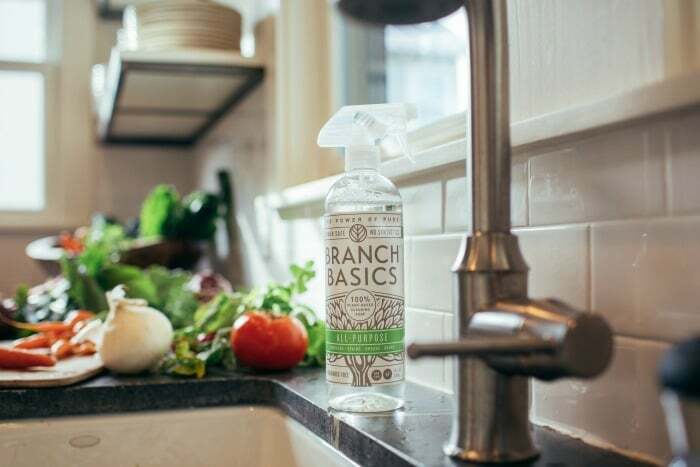 I use Branch Basics as a cleaner for my kitchen, bathrooms, windows, vegetables and fruits, car, as a hand soap, laundry detergent, carpet cleaner, and as stain remover. They just came out with beautiful new packaging and a concentrate that’s 2x as strong (for reduced shipping costs)! They also have a new product for whitening, brightening and stain-fighting called Pure Oxygen Boost. It’s wonderful either alone or partnered with Branch Basics Soap. It whitens and brightens fabrics and removes stains and odors, yet keeps you and your family safe from fragrances, binding agents, solvents, etc. 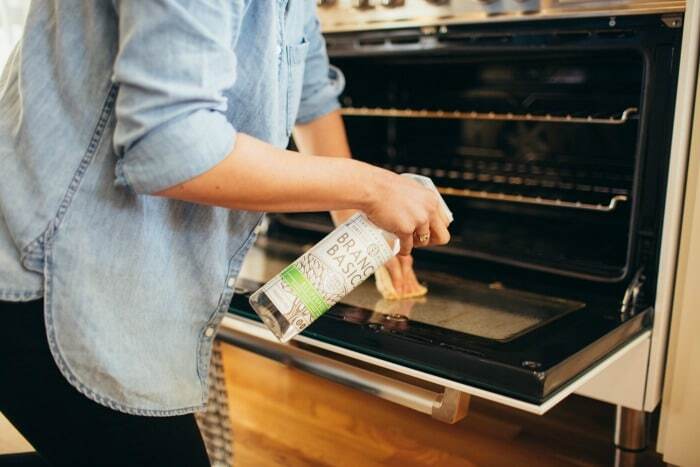 It’s fabulous for cleaning grout! 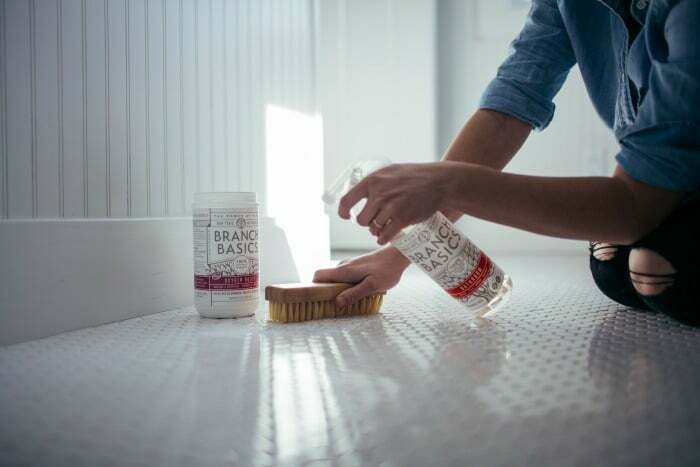 It’s free of bleach, ammonia, dyes, and fragrances — and it’s safe for septic tanks. Questions about their product? Click here to read their FAQs. Hey Carrie :) Is there a discount code for the 15% off? Do you know if that's on top of the 15% sale they're having? Thank you! Thanks for pointing that out. I made the edit. Use the code "DO10" for a total of 25% off of your order. Also, dish detergent has been a conundrum for me...the eco friendly, natural stuff often doesn't do the job...do you have a post written on that or have a recommendation?! Thx! You introduced this a few years ago and it is all I use now. Love this product; it truly does all that you and the company claim. I have even given it as gifts. Thanks for the sale. Hi Carrie, this is the first time I am purchasing this product, so I wanted to get the Large Starter Kit that has (2) 32 oz. concentrates with (3) bottles. I went to check out, used the DO10 and only got 10% off, not the 25% off you stated in your email. Am I doing something wrong? Thanks for your help. Thanks for the clarification. Also, thanks for a great cookbook and all the healthy suggestions and recipes you to share. Thanks for the coupon code!! To clear up some confusion, the extra 10% off of the price (which is already 15% off) does not equal a total of 25% off. The price in your cart is the automatic 15% off price and the 10% coupon code comes off of that price, not the original price. So it's not quite 25% off but it doesn't matter because it is still a GREAT deal and a fantastic product/company! Carrie, would you please tell me what brand of dish detergent you use? I need a more effective grease-cutting formula than Branch Basics, but hopefully just as safe. Thank you!!! If I hadn't recently bought a gallon of the concentrate, I'd jump all over this! It's a great cleaner. 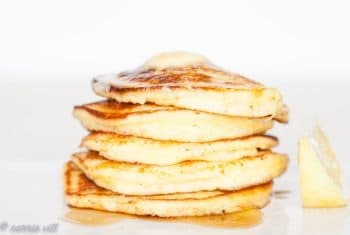 I'm not a big fan of it for a regular sinkful of dishes, but if you have a pan with baked on food, just pour a little into the pan with hot water, and it basically loosens it right off. I have been using it on my floors, and it (light duty dilution) finally got all the film off my glass sliding door, that I thought was on there for good! A gallon will last me a long long time. Haha! :) I just use 1 tsp and it works great! The new concentrate is super concentrated and I've learned just a tiny bit goes a long way. If I'm doing a load of whites and they are looking particularly grimy, I'll add a small scoop of the Oxygen Boost (that stuff is amazing!). Thank you for being part of the movement to truly non-toxic products!! 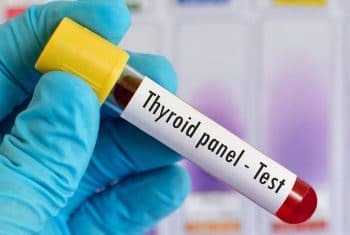 I got sick of being "greenwashed", too, and was so happy to find my own answer to the issue with Ava Anderson Non-toxic. So glad there are companies out there that are making products that are genuinely safe for us, our pets and our planet. 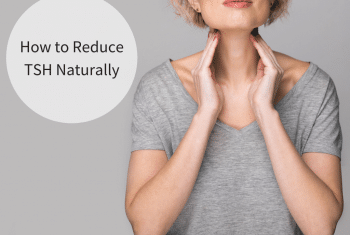 AANT offers a full line of affordable and non-toxic products which is a relief to me because i got tired of cherry-picking from different companies here and there. 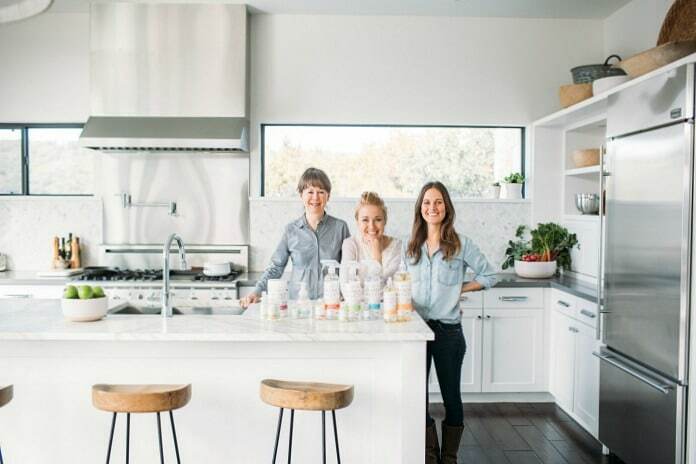 I'm loving the facial skin care and cosmetics, as well as the pet deodorizer, candles and dish soap... And they are all about educating people how to become ingredient detectives with personal care and home care products. Thank you for the nice tips! 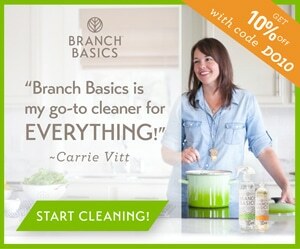 I am very interested in the Branch Basics cleaners as I am a cleaner (http://carpetcleaningenfield.org.uk/) and I work mainly with toxic cleaners which is really unhealthy for me. I'd love to try them! :) Lovely post! Did the coupon code "expire"? I was trying to use the DO10 and my total doesn't change at all. thanks.